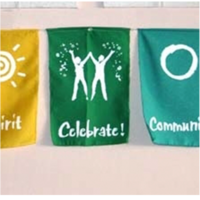 We would love to help you enhance your brand with custom prayer flags! They make wonderful donor gifts, beautiful decor at events, and unique fundraising swag. Over many years we have co-created with non-profits, companies, schools, a zoo, a band, the Human Rights Campaign, a veterinarian clinic, a mushroom club, an HIV/AIDS organization, and many other groups. The possibilities are endless! 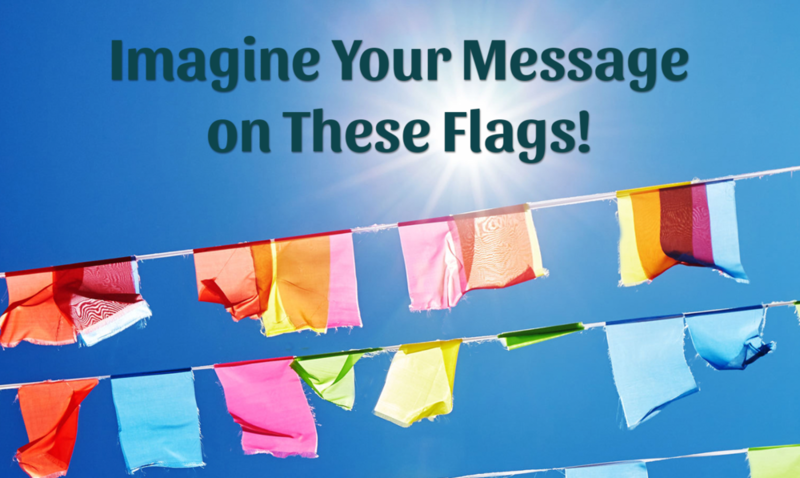 Each set, or single flag, is one-of-a-kind representing your vision and message. Inspired by her vision while trekking in the high Himalaya of Nepal, France Robinson created West Wind Flags in 2000. 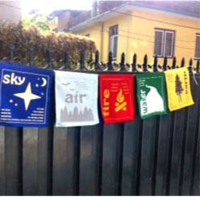 Firmly grounded in 'Fair Trade', West Wind is happy to be working with a family of 3rd generation Tibetan Buddhist prayer flag makers in Kathmandu, Nepal who make our high quality flags from 100% fine cotton. Many thanks for visiting our site. Namaste and be well. 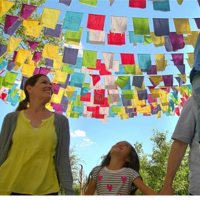 There are so many creative possibilities you can use to design your own prayer flag! 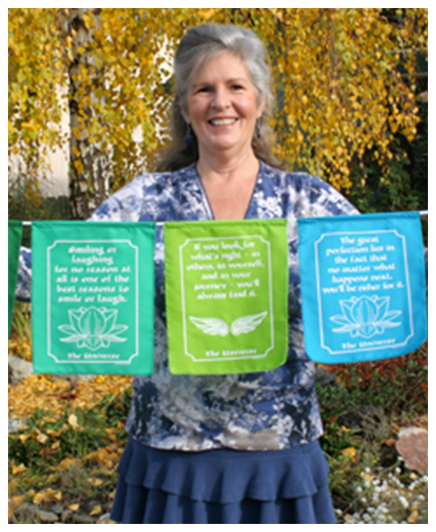 Have a look at our Custom Prayer Flag Ideas. Fill out our inquiry form so we can start collaborating on your custom flags.